AMURT Ghana began work in the mid 1990s as part of the Mafi-Zongo Area Water Project located in the North Tongu District of Ghana’s Volta Region. AMURT Ghana was invited to assist the communities develop dams to give them access to safe water. The project is community owned and managed with AMURT acting as a partner. Today, the Mafi-Zongo Water Project serves close to 9,000 people in 26 communities. Surface water is harvested in a dam created by a 600 metre long dyke on a seasonal river. The water is treated by roughing filters and slow sand filtration before being pumped to a reservoir built on a mountain, central to the project area. From there the water flows by gravity through a 54 km long pipe network, and is made available to the population through 45 standpipes. AMURT Ghana has brought in funds from international donors, along with technical assistance. Today AMURT Ghana continues to give logistical and organizational support, while the project is run by the communities themselves. 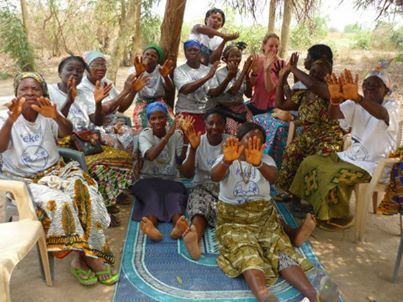 Since the water project AMURT Ghana has initiated educational and health projects including the establishment of the Mafi-Seva Community Clinic and the Kekeli Women project which trains community health promoters. AMURT UK has assisted AMURT Ghana with the provision of birthing homeopathy kits to assist with contractions and breech babies and fundraising for the establishment and on-going operational costs of the health projects. AMURT UK’s Birmingham unit has close ties to AMURT Ghana and is largely responsible for these fundraising drives. Please specify the donation is for Ghana.